Kanhaiya Kumar, Umar Khalid, Anirban Bhattacharya, Aquib Hussain, Mujeeb Hussain, Muneeb Hussain, Umar Gul, Rayeea Rasool, Bashir Bhat, among others named among the 10 accused of holding an “anti-national” event on campus in February 2016 by Delhi police in Patiala High Court in the chargesheet filed in JNU sedition case. 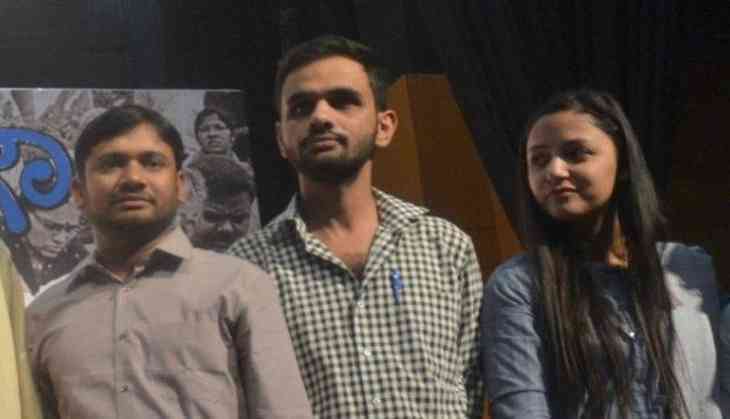 Shehla Rashid and CPI leader D Raja's daughter Aparajita Raja have also been named in the chargesheet filed in JNU sedition case along with Kanhaiya Kumar, Umar Khalid, Anirban Bhattacharya and others. Patiala House Court will consider the charge sheet filed by police in 2016 JNU sedition case tomorrow (15 January). The Delhi police filed chargesheet in 3-year-old JNU sedition case against some JNU students for organising an event on February 9, 2016, to protest the hanging of Parliament attack convict Afzal Guru. The FIR stated that “anti-national” slogans were allegedly raised at the event. "Even at that time we said that these are politically motivated charges & nobody can accuse AISF for any activity against nation. There's nothing to prove, our students can't indulge in such activities & government can't slap sedition charges on them. We'll fight the case in the Court," said D Raja.